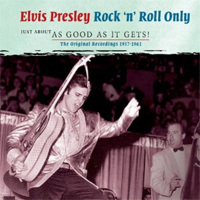 This 2CD with the complete title Elvis Presley - Rock 'n Roll Only: Just About As Good As It Gets! will be released by Smith & Co on September 28, 2012. Hello, I really like the cover but I guess this is going to be 1950s public domain material rehashed for the gazillionth time.